Isaac Thomas Drew was the fourth child of Isaac Drew and Abigail French. The Drews moved in 1820 from Eton, New Hampshire, to Glover, Vermont; the French family was from Keene, New Hampshire. Isaac was born June 7, 1837; he died July 13, 1912. 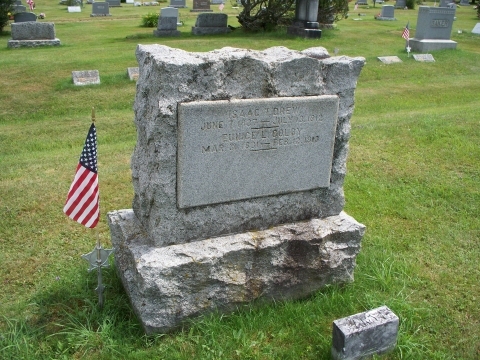 He is buried in Westlook Cemetery in Glover. He and his brother, Rufus, served as musicians during the war. Rufus Leonard Drew was the oldest son of Isaac Drew and Abigail French. Rufus was born in 1835 and married Laura Neil Morse; together they had three children. He was engaged in mining in California seven years, but returned to settle in Glover. He died at age 81 on March 18, 1917, and is buried in Westlook Cemetery in Glover. He and his brother, Isaac, both served as musicians during the war. Source: Family and service records held by the family. Contributed by Vicki Duckless Flanders, Isaac and Reufus' 2nd-great-grandniece.